Christmas Day was such a special day while growing up in the butcher shop. Since the front of the house was the store, my grandparents would stay open for a while just in case someone would need something. The food we enjoyed on Christmas Day was Prime Rib; quite a contrast from all the fish from the previous day. With the wonderful aroma of the beef roasting we did not need scented candles to know that Christmas Day was here. Like most children, I enjoyed opening presents. Back then gifts were modest and kept simple. I remember being more excited with sharing them with my friends than having them for myself. Christmas was really about the birth of Christ; not presents. In Italy, presents are exchanged on the Feast of the Epiphany. One Christmas Day a blizzard fell upon the town of Roseto. I recall looking through the large windows in front of the store and seeing the snow piled so high that half of the windows were covered. As we sat down to have our Antipasto and Prime Rib Dinner a knock came from the side door. It was someone from the neighborhood. My grandfather was concerned and thought maybe there was an emergency. “Is every thing all right,” Grandpop asked? “Yes”, she said. “Then how I can help you?” She said, “I need a pound of chopped meat.” My grandfather asked, “Where to do you normally buy your ground beef?” She replied, “The Acme.” Grand pop said, “Well please go there and buy it today.” Grandmom was listening and told the lady to come in. “I will help you,” she said. The lady came though the house and into the store. Grandmom put her apron on and asked her how much she needed. The lady said a pound. So Grandmom ground the meat for her, gave it to her, then took her hand and said, “Remember where you got this.” The lady became a customer for life. My Mom’s family from Italy, Toronto, Hamilton and Washington always called to wish us a Buon Natale. I could tell how much my mom missed them but what are you gonna do? Distance may keep us apart; however it can not come between us. Route 191 between Books Hill Road and School Road in Plainfield Township will experience lane restrictions and traffic delays for drainage work December 26 between 9:00am and 2:00pm. Uhler Road between Lower Mud Run and Short Road in Lower Mount Bethel will experience lane restrictions and traffic delays for brush cutting work December 26 between 9:00am and 2:00pm. West Mountain Road between Route 512 and Old Allentown Road in Bushkill Township will experience lane restrictions and traffic delays for crack sealing work December 26 between 9:00am and 2:00pm. Trinity Lutheran Church, located at Broadway and 4th Streets in Bangor, will offer a free bag lunch program Tuesday, December 30 to all community families. The bag lunches will contain a sandwich, chips, fresh fruit, healthy snack bar and a drink. The lunches will be able to be picked up Tuesday, December 30 at the church entrance on 4th Street from 11am-1pm. 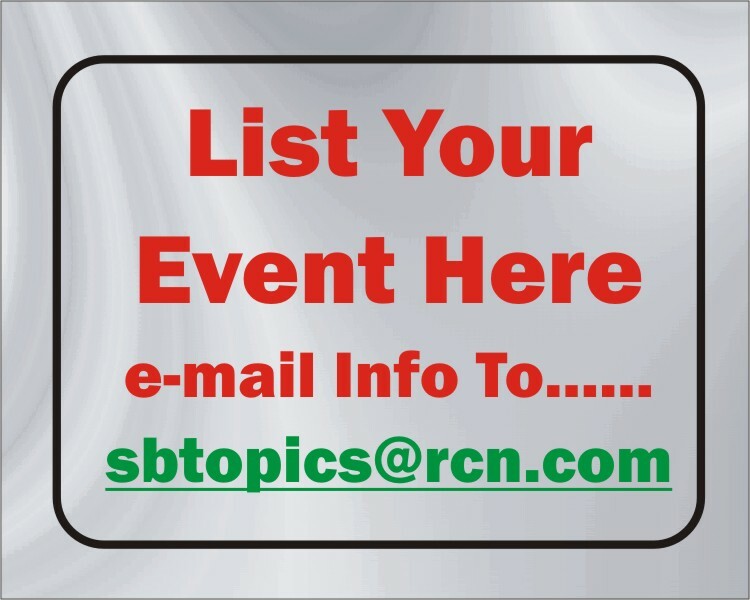 Please call the church to register for the Tasty Tuesday Bag Lunch Program. The church number is 610-588-2023. 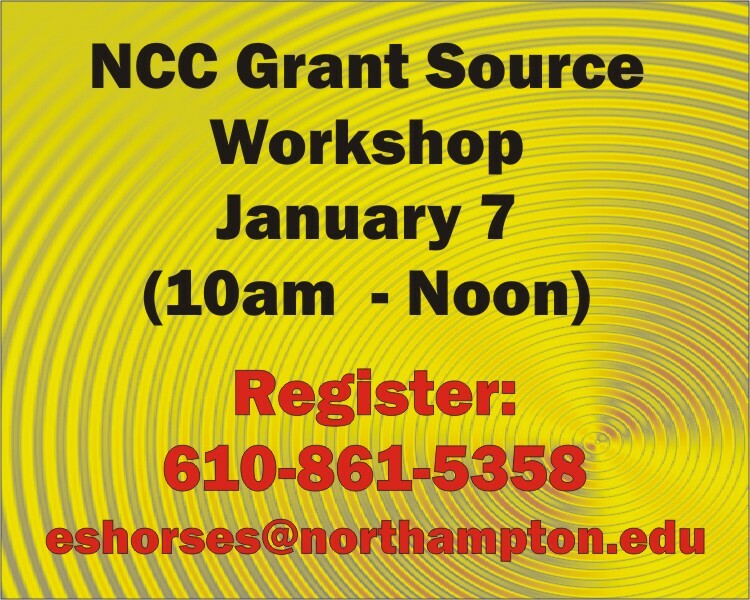 Representatives from non-profit agencies who want to learn more about locating grant sources are invited to attend a special workshop being held at Northampton Community College’s Mack Library, 4th Floor of College Center Building, 3835 Green Pond Road, Bethlehem Township, on Wednesday, January 7th from 10 a.m. - 12 p.m. The workshop will highlight the services provided by Foundation Directory Online, and provide an overview of its database of over 100,000 grant makers. The session will include an introduction to The Foundation Center, an organization devoted to supporting and improving institutional philanthropy, an overview and demonstration of grant resources included in the Foundation Directory Online database, and a hands-on opportunity to use the database. It is suggested that participants bring a flash drive with them to save information. Although the workshop is free, reservations are required. Call 610-861-5358 by Tuesday, December 23. To make a reservation after December 23, Send e-mail to eshores@northampton.edu providing your name, telephone number, and name of your nonprofit organization. It’s not too late – there’s still time to register for credit classes for the spring 2015 semester at Northampton Community College. Registration continues until the start of the semester on January 12, 2015. NCC offers more than 100 transfer and career programs leading to associate degrees, certificates, and diplomas at its Bethlehem and Monroe Campuses, and at the Fowler Family Center on Bethlehem’s Southside. In addition, more than 150 courses are available online, including 18 programs that can be completed 100 percent online. New students can register online at www.northampton.edu, or in person at the records office at the Bethlehem or Monroe Campus. 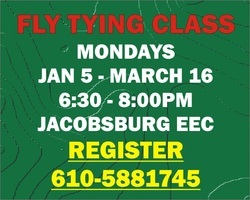 For more information, please call 610-861-5500 (Bethlehem) or 570-369-1800 (Monroe). (BPT) - It’s ironic that a time traditionally associated with good cheer and merriment can turn into a virtual nervous breakdown for so many people. High expectations paint the holidays as a time of fun and joy, and when people don’t feel this way they then feel even worse because they somehow aren’t living up to an idyllic portrait of the season. This is where physical and mental health play an important role in helping people better manage holiday stress. Experts in the areas of family psychology and health have come up with some sensible tips they hope will provide some comfort and joy to the faithless, weary and frazzled this holiday season. The classic movie “It’s a Wonderful Life” portrays idealized images of family harmony during the holidays: everybody gathered around a piano and roaring fireplace, singing carols, merrily laughing and drinking eggnog - with every family member present. In the past, the holiday season was a way for families to take a break from their difficult work life and come together in celebration. But sometimes these gatherings aren’t so ideal. If you are not on the best terms with a relative and feel like you need to talk to him or her about it, Dr. Wasner recommends you do it one-on-one before the holiday visit, either on the phone, by mail or during a shorter visit. If that is not possible, there is nothing wrong with setting limits on the time that you spend with that relative. Kawecki says that during the holidays, it’s important to maintain health-promoting behaviors, but you should also be flexible. Exercise by speed-shopping in the malls instead your usual walk around the block. Maintain a normal healthy diet and eat your five fruits and vegetables a day, especially on party days. Be a healthy host or hostess by cooking low-fat, presenting food in various locations to promote mingling and not just eating, and making portions small. A man scared by a hedgehog in his garden and another left enraged by a vending machine feature in recordings of irresponsible 911 calls released by police. Greater Manchester Police have issued the recordings in an effort to prevent inappropriate calls to the emergency number over the busy Christmas period. The caller frightened by the hedgehog can be heard being reassured by the call handler that the spiny mammals are good for gardens because they kill slugs. "Yeah, but we don't want our slugs to get killed, we're a bit scared," the caller responds. In a separate recording, a caller complains that a hospital is refusing to refund money he has put into a vending machine. "They've not given it me back at the hospital so I want you to come and sort it out," he says. He is then heard swearing at the call handler after being told to clear the line for genuine emergencies. Two other recordings released by police involve a man unhappy because a sports shop will not give him a refund for his trainers, and another furious over the late delivery of his pizza. Diane Grandidge, GMP's business lead for call-handling, said the 999 number should be used only if there is an immediate threat to life or property or if a crime is in progress. "The Christmas and New Year period is the busiest time of year for our staff and every year we appeal to the public to be responsible in their use of the 911 emergency line," she said. "A large percentage of calls that are received on 911 are either non-emergency or simply calls that should not be made to the police." The bag lunches will contain a sandwich, chips, fresh fruit, healthy snack bar and a drink. The lunches will be able to be picked up Tuesday , December 30 at the church entrance on 4th Street from 11am-1pm. The Belfast Wesley Methodist Church at 607 School Road will hold an All-Yo-Can- Eat Pork and Sauerkraut dinner New Years Day from 1-4pm. A blood drive will be held at the One Way Church, 50 Broadway, Bangor from 10:00am to 3:00pm Saturday January 3. Enter at GIVEaPINT.org (Miller-Keystone Blood Center) to create your donor profile and schedule your appointment. Use sponsor code 7568. Enter to win a $500 VISA card. 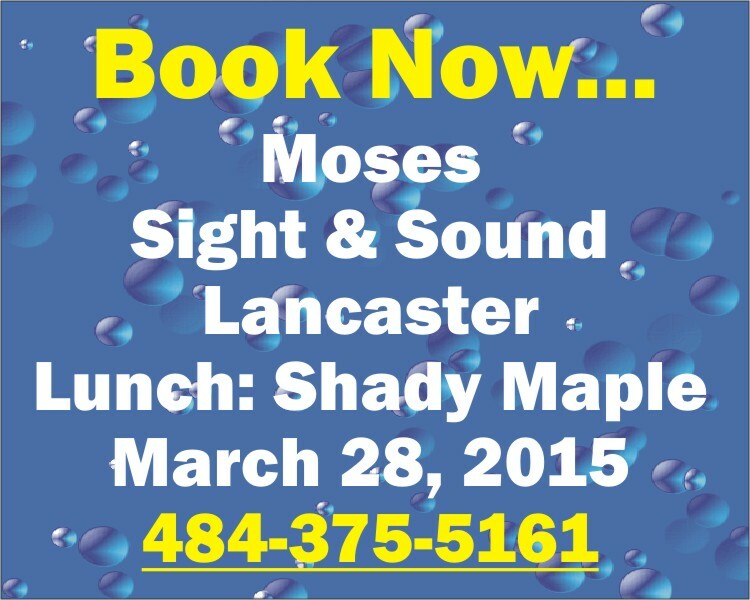 For more information call 413-248-7242. Safe Haven Pet Rescue will hold dog adoption days from 11 - 2 on Sunday, January 18 at Tractor Supply, Route 940, Mount Pocono. Folk Singer Willie Watson will appear at the Nazareth Center For the Arts Tuesday January 6th at 7PM Tickets: $20. Call box office 6 10-365-2219. Willie Watson (Born September 23, 1979) is a singer-songwriter, guitarist, and banjo player born in Watkins Glen, New York, who was a founding member of Old Crow Medicine Show. His debut solo album Folk Singer, Vol. I, was released in May 2014 and he appeared at the 2014 Newport Folk Festival. Raised in Upstate New York around Ithaca, he currently resides in Topanga, California. In 2012–2013 Watson began appearing in venues in and around Venice Beach, California, making appearances with the John C. Reilly band and John Prine, and opening for acts such as Punch Brothers, Sarah Jarosz, and Dawes. Initially he was performing original music, then realized he got more out of performing the old songs—and his audience seemed to enjoy them more. In 2014 he performed at SXSW in Austin, Stagecoach Music Festival in Indio, California, Newport Folk Festival in Rhode Island, Pickathon Music Festival in Oregon, Fayetteville Roots Festival in Arkansas, and Steelfest in Missouri. A tour of the United Kingdom and Ireland takes him to Bristol, Glasgow, Manchester, Sheffield, London, and Dublin. 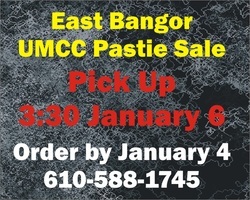 The East Bangor United Methodist Community Church at 136 W. Central Ave., East Bangor, PA will hold a pastie sale. The selections include beef w/wo onions and broccoli-cheese w/wo onions. The cost is $5.50. To order, call 610-588-1745 or email loi.stucker@hotmail.com by Sunday, Jan. 4th. Pasties must be picked up at the church on Tuesday, Jan. 6th, at 3:30 p.m.
Friday, January 9th 6:30 -7:30 p.m.
Saturday, January 10th 8:00 a.m. - 4:00 p.m. Spend the day birding at Jacobsburg and other places in the Bushkill Creek Watershed counting birds and looking for oddball species that may have wandered into the area. Participants should dress for the weather and bring binoculars and a lunch. To register, contact Rick Wiltraut at rwiltraut@pa.gov or 610-746-2801. On Sunday January 11, come to Washington Pet Shop, 1310 Blue Valley Drive/Rt 512, Pen Argyl from 11- 2, to meet some of the beautiful loving dogs that Boomer's Angels have for adoption! Boomer's Angels Rescue & Care is a new group in Northeast Pennsylvania that was formed to give as many homeless and downtrodden animals the brightest future possible. Boomer's Angels rescues and rehomes dogs, bunnies and critters. Be an Angel for a homeless pet. To find more information, visit www.BoomersAngels.com and find us on Facebook. Call (570) 350-4977. Safe Haven Pet Rescue will hold dog adoption days from 11 - 2 on Sunday, January 18 at Tractor Supply, Route 209, Brodheadsville. Come to Cherry's Sunset Restaurant, Route 209, Kresgeville at 6:30 PM on Tuesday, January 20 for a bite to eat and meet the volunteers of Safe Haven Dog Rescue. On Sunday January 11, come to Tractor Supply, Route 209, Brodheadsville from 11- 2,, to meet some of the beautiful loving dogs that Boomer's Angels have for adoption! Columcille's Annual Women's Retreat will once again be held at the Kirkridge Farmhouse. Keeping with tradition, the Women of Columcille are invited to come celebrate and honor the beloved Brighid, Goddess of Fire and Water. It is also that time of year when life slowly begins to flow and move underneath. It is the return of 'Light', the beginning of Spring also known as Imbolc 'flowing of ewe's milk' when it was all agrarian society. Celebrate and prepare yourselves for the return of 'Light' once again through ceremony, song, ritual and camaraderie of all your Sistars or just take 'me' time, walk the land, meditate and reflect! In ritual, open yourselves to the loving transmuting energy of the Violet Flame, and then dive deep into the healing Sacred Water... discover how deep your connection to Water is... maybe even learn there is a Mermaid inside you! Be transformed with a powerful Divination Circle. Of course, there is play time for the 'inner child' to create and express herself with our craft time! Later they honor Brighid with a healing Fire ceremony, followed by a deeply bonding bonfire gathering with song, chants, and 'placing of cloths' for Brighid's Blessings. Then off 'steam' from all that fire work with a pulsating drumming circle! Gift yourself with the richly rewarding and fulfilling retreat experience, whether it be just one day or the whole weekend. It promises to be one of joy, growth, new friends, self-discovery and empowerment - doing 'inner work' has never been so rewarding! Friday, January 30th 7:00-8:00 p.m.
Portland Movie Night will be held Saturday January 31. Doors open at 2:00pm. Movie starts at 2:30pm. Featured film is Ground Hog Day. Location: TBA. Saturday, January 31st 8:00 a.m. - 4:00 p.m. The Portland Hook and Ladder Co. #1 will hold its eighth annual Liztech Bingo Saturday February 14. Doors open 11:00am and bingo starts at 1:00pm. All prizes for this bingo are Liztech pieces. Tickets now on sale. The Blue Mt. Community Library in Pen Argyl will hold a Fund Raiser February 19 (11 AM-7 PM) at Café on Broadway in Wind Gap!